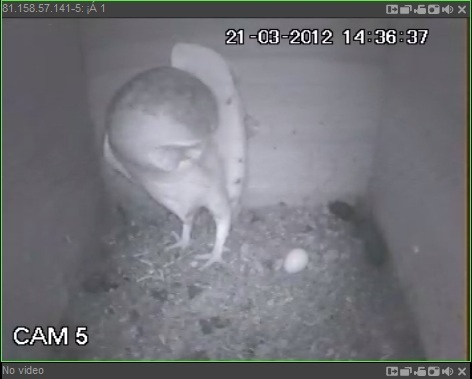 Then on 21/03/12 at 14:36 and 36 seconds precisely it happened, the owl where we have the nest box camera laid her first egg!!! This screen shot (below) was grabbed a whole 1 second after the egg was laid just as the hen owl stood up to glance around at her handy work. 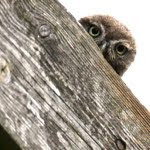 Sadly we are still not able to share the live footage of the owls through this blog, but its not for the lack of trying! Somehow we will find a way of bringing it to you, but for now the occasional still image will have to suffice as an update of any developments.........sorry! Looks like all the hard work is paying off, Paul. Lets hope she raises loads of healthy chicks. A cracking image too Paul. Love how she's looking back at her prize. I'd call that a result, Paul! Please pass my congratulations on to the lady when you next see her!! Thats awesome! 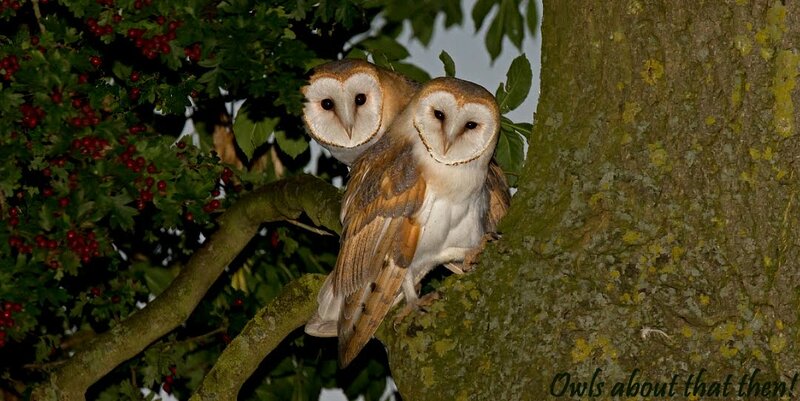 so cool to see barn owls breeding! you alway witness some great things with a cam, I am hoping to get a first egg soon with the one cam I have. A good day got better!